The house is located in Star Valley, a rural area in north Lincoln County, Wyoming. Historically and culturally rich, Star Valley boasts an abundance of wildlife, outdoor recreational opportunities, and spectacular scenery. This working ranch features a modern home, a 3,000 SF barn with guest living quarters and children’s play areas, horse stables and storage for year-round recreation equipment. 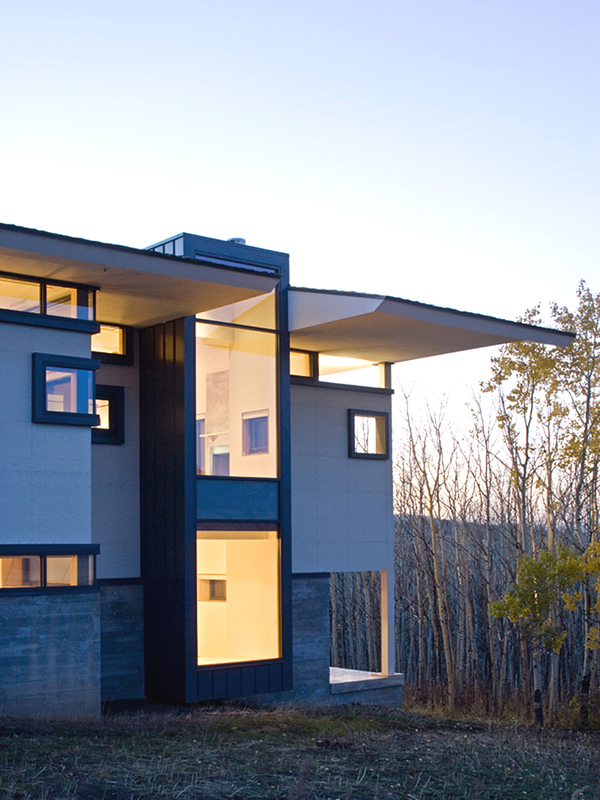 Set within a remote mountain site in Wyoming the 5,500 SF house incorporates natural materials of stone, concrete and wood with state-of-the-art building systems and technologies. The house is sensitively integrated, and designed to minimize excavation in a naturally evolved protected area within the 200+ acre site. The terraces, generous glazing and indoor/outdoor rooms act to extend the living spaces into the dramatic landscape. 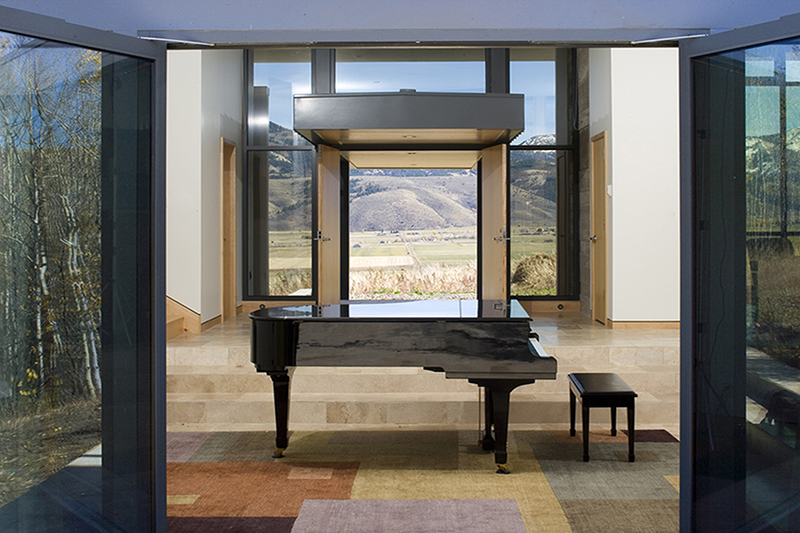 Open panoramic views from the great room frames the Bridger National Forest to the east, and an inside-outside informal piano concert space in an aspen grove to the west. The design concept, inspired by the client, a Silicon Valley entrepreneur and his wife, both accomplished amateur classical pianists, was developed as a study of the interdependence of the right and left sides of the brain (music and math). The resultant architecture reflects the interdependence of the natural and built environment, the incorporation of musical structure, and the tools of a composer in generating architecture. A major theme emerging from the design study was the splicing of various elements of the house including public and private wings, stair and piano concert space, indoor and outdoor spaces and spaces of silence and sound. Separate wings for the family and guests are joined by the dramatic central gathering space. The walls of this room are constantly evolving with the seasons, changing from a snow-covered blanket of white in winter, to green fields animated with grazing livestock in the summer. The master suite was designed to capture both the mountain views and the experience of being nestled within an aspen grove.